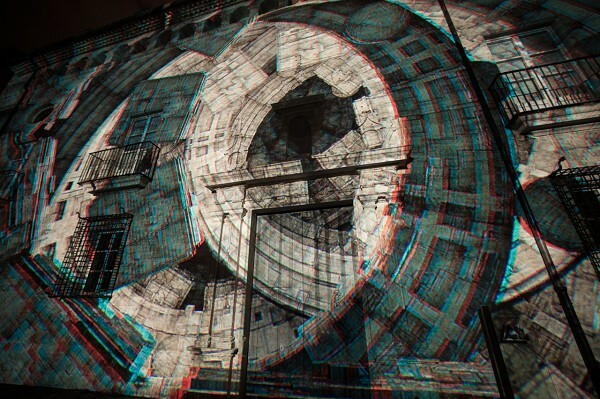 Diplopia by Onionlab is the first 3D anagliph mapping piece created and projected in Spain at The International Mapping Festival of Girona 2015 opening ceremony. Diplopia is an stereoscopic piece that revolves around the concept of binocular vision, that is to say, how our eyes merge two separate images to perceive a single object. Two different points of view that arise as a consequence of binocular disparity. Diplopia focuses on opposing concepts, such as light and darkness, flexible versus rigid, near and far, noise and silence, wet and dry… The volumetric contrasts and illusion of depth create images intended to confuse, unsettle and fascinate the public. 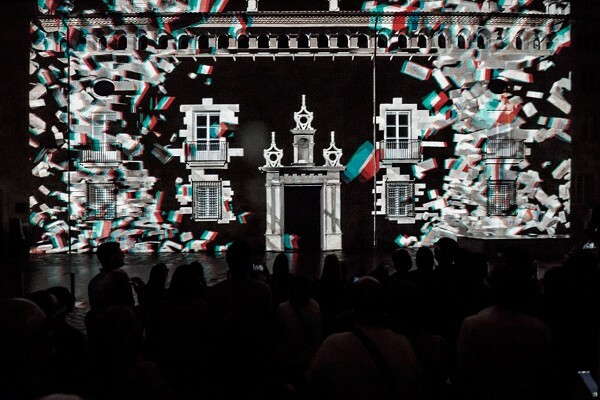 “In order to enjoy the projection mapping, we strongly recommend to use 3D anaglyph / stereoscopic glasses. If you don’t have any around, please watch the 2D version and try to get ones. But do watch the 3D version. It is worth it!”. Produced by Onionlab • Director: Jordi Pont • Producer: Joel Mestre. Music & Sound design: uunnoo + lko. 3D Artist: Mike van der Noordt • Santi Morrison • Raquel Anglès • Jordi Pont.